When you ask a girl for a date, what kind of restaurants do you select? It’s a difficult choice. If she feels you have a poor taste, your efforts go to waste! Or do you choose the dinner as you like? Oh, it is a little gamble. In the Edo period (1603-1868) of Japan, however, there was foolproof cuisine without hesitation. It was the first bonitoes of the season. In springs, bonito migration comes along the warm current called “Kuroshio” and it was the fashionable date of the day to eat bonitoes as early as possible. The phrase of “When spring comes, let’s enjoy the first bonito!” was most “effective” way to ask out a girl. What? It is so simple a way! Oh! You have a misunderstanding. The price of the first bonito of a season at that time was unbelievably soaring. It was so expensive food. Anyway, please imagine that you will buy tickets to the Super Bowl! Why do fishes have their own season? I will explain the reason and introduce a variety of cuisine, using those fishes, which is not so famous but very delicious for tourists to Japan. Copyright c Geographico! All Rights Reserved. Let me take bonitoes an example to explain why fishes have their season. An egg-laying site for bonitoes is in a tropical ocean because warm water is suited for them. 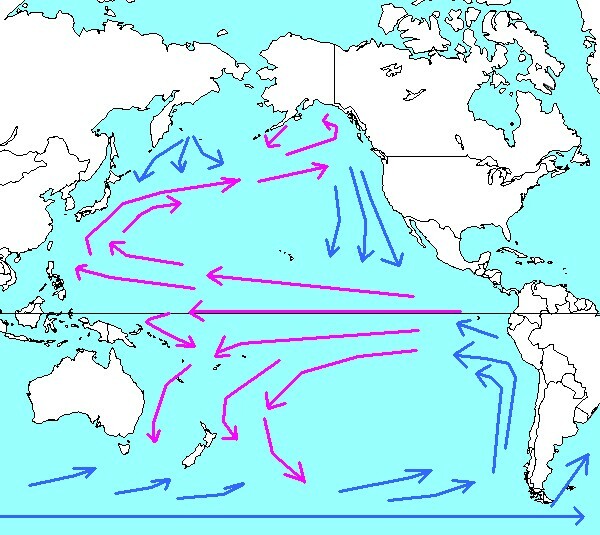 Some hatchlings start extensive migrations for food and move toward the north along the big warm ocean current named “Kuroshio” in Japanese. Just from spring to summer, they reach the Japanese Archipelago on the Pacific coast. Bonitoes in this season are moderately tightened and low in fat and are called “upbound bonitoes”. It can be comparable to beef rump. As far as bonitoes are concerned, Japanese people are most fond of this semisoft fish meat. Bonitoes which eat enough food along the Kuroshio Current continue to swim as far as converging point of warm and cold currents. The cold one is named “Oyashio”. However, bonitoes don’t like cold water. When autumn comes to Japan, then bonitoes stop moving toward the north and return to the south for warmth. They are called “returned bonitoes” which put on enough yet rather too fat for spawning. It can be comparable to bone-less short rib. In this way, there are two seasons for the fishes. Some like spring bonitoes and others prefer autumn ones. For your information, “returned bonitoes” are less expensive than “upbound bonitoes”, because Japanese prefer the taste of the latter. In the Edo period, the former was called “even-cats-bypass fish”. It means even fish lover cats neglect returned bonitoes. In fact, the taste of bonito is much different according to seasons. If you know seasonal fish well, you are regarded as a respectable gourmet specializing in Japanese cuisine. Now that I talk about spring bonitoes, I want tourists to Japan to enjoy innovative but traditional cuisine. The photo above is lightly roasted bonito called “katsuo-no-tataki” in Japanese. First, bonito fillet with fish skin is roasted by straw fire. Unfortunately, using gas burner has been common recently. It is important that only surface of fillet need to be roasted, not heated thoroughly. This way is required to kill little worms in bonito’s skin. However, when bonitoes are used as sushi items, skin is cleared in advance. “Tataki” can be eaten and dipped in a special sauce with grated Japanese radish or “daikon” according to your taste. In this way, bonitoes are turned into great delicious cuisine! At supermarkets or fish shops, horse mackerels are always available irrespective of the season. 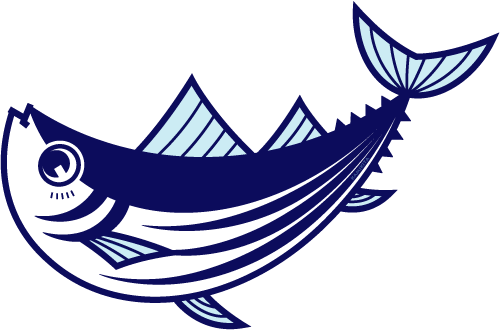 Unlike bonitoes, the season of horse mackerels is in summers before their spawning time. By the way, Japanese refer horse mackerels to “aji” which is the same pronunciation as “taste” in Japanese. It is said that horse mackerels are very delicious, so the fish was named after its taste. In spite of additional preparation time, “Nanban-Zuke” or “deep-fried and marinated in soy sauce and vinegar” is the most recommendable with firm confidence. Horse mackerels from which are removed entrails are coated with starch and then deep-fried. These horse mackerels are marinated in soy sauce and vinegar and cooled in a refrigerator. In this way horse mackerels become tender and very delicious. Seasons of sea breams have two times in springs and autumns. Putting on some fat is in the latter which is not so much fat as “returned bonitoes”. Sea breams have long been very popular in Japan because of its taste and the name. Japanese pronunciation of sea breams is “tai” and that of auspiciousness is “mede-tai”. The double meaning of “tai” has been associated with good luck. 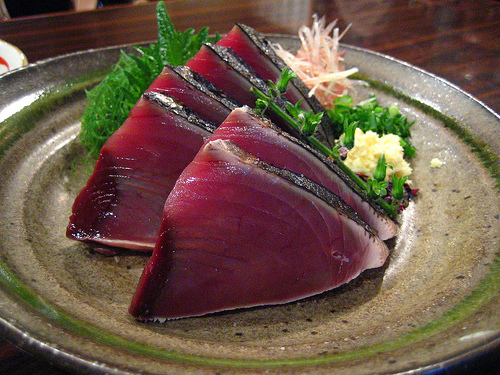 Sea breams can be used as sushi items, sashimi (sliced raw fish), and broiled fish. Of those cooking methods, recommendable is “tai-meshi” or “rice cooked with sea bream” which is local cuisine in the Seto-Inland Sea area. However, it is served in restaurants in Tokyo as well. This cuisine has two types. For one, fillet, kelp and one teaspoon of soy sauce are put together in a rice cooker or a small pot and then boiled. As you can see “Image 10”, this is well-flavored, ideal combination of fish and rice, and of course has pleasant taste. For another type, once a sea bream is made into sashimi, special sauce and egg are stirred. Sashimi of a sea breams and this sauce and egg are put on hot boiled rice and can be eaten. I think this cuisine is the closest rival of sushi! It looks scaring, but you cannot judge “a book” by its “cover”. The common saying that “Oysters are only in season in the R months” is also true of Japan. In winters, various one-pot dishes called “nabe-mono” are served on the table in Japan. Famous sukiyaki is a kind of the cuisine. Oyster nabe or “Kaki-Nabe” is also one-pot hot dishes including oysters, Chinese cabbage, shiitake mushroom, and tofu in broth and is boiled. It is a standard menu for Japanese. Expensive as it is, one-pot meal using anglerfish is representative winter cuisine. The looking is scaring, but its white fillets are simple and bland, and a healthy ingredient. The part of lever or “An-Kimo” is the most delicious but high-priced because it is called foie gras in the sea. Please Come to Japan to Enjoy “Seasons”. By the way, does beef or pork have its own season? The world is a big place full of uncountable cuisines. Possibly, I wonder if there are meat dishes including seasonal tastes. There is the Japanese words of “eating seasonally” which is the ultimate level of luxury in Japan with clear-cut seasons. The saying just fit into fishes in particular. Today, freezing technology has been developed and it is unfortunately difficult to feel enjoying the changing seasons. Nevertheless, it is fresh and seasonal fishes that you are to enjoy to perfection. I am a bonito and waiting for your visit to Japan!